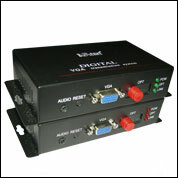 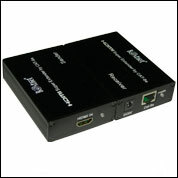 Bestnet Audio/Video Extender System allows you to extend the distance between the computer system unit and the display monitor by up to 150/300 Meters for video resolutions of 1920 x 1440 @ 60Hz. 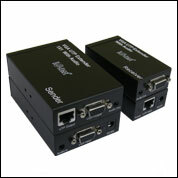 It accomplishes this by means of a local transmitting unit and a remote receiving unit connected by Cat 5e/6 LAN cable. 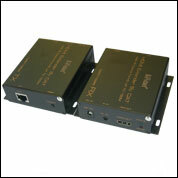 Bestnet Audio/Video Extender System is ideal for installations where the display needs to reside in public view, while the display is located in an area that is convenient for viewing. 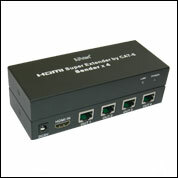 Bestnet HDMI Extender extends your HDMI display up to 30 m away from your HDMI source using two Cat 5e or Cat 6 cables. 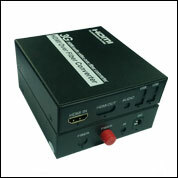 It is equipped with HDMI (high definition multimedia interface) connectors and is capable of supporting DVI (digital visual interface) equipment when used with a HDMI-to-DVI adapter, providing greater flexibility and installation options when integrating several home theater components.